Staunch Remainers are changing their mind about Brexit now that the UK is leaving the European Union, ad industry bosses were told. Deborah Mattinson, the founding director of Britain Thinks, told the Advertising Association's Lead 2017 conference that the change of heart came from a desire to "get on with it". While much of the industry voted to remain, most today agree that it is time to just accept the inevitable and make the best of things, found a poll at the annual summit in London this morning. 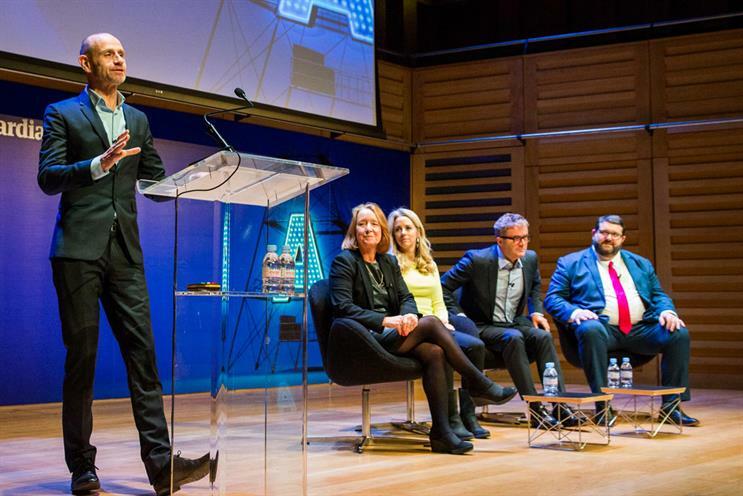 The poll set the stage for a panel on Brexit, moderated by economist and BBC presenter, Evan Davis with three Remainers: Mattinson; James Murphy, founder and chief executive of Adam & Eve/DDB; and Mark Essex, associated director of KPMG’s strategy group. There was also one Brexiteer, Isabel Oakeshott, the Daily Mail political editor at large (from February). Nevertheless, Brexit has already cost the industry dearly. A study released today by the AA found that 22% of advertising companies have lost business due to the Brexit vote. "The following Wednesday, a European client cancelled. But then it got back to business as usual, it went quiet." However while Theresa May’s recent speech outlining a hard Brexit may bring relief for some in the form of clarity, it too has had a tough consequence for Murphy’s agency. "Sentiment is quite brittle," he said. "We were talking to a European client about centring their business in London as a hub for Europe. And now the client is going for a diffuse structure… which is very annoying." Another major consequence of Brexit, pointed out Davis, is the falling exchange rate, which has seen the sterling drop 19% aginst the US dollar. Essex observed that the result has been helpful for some and harmful for others. "The workforce has taken a 19% pay cut without changing their living standards. Britain is on sale. Retailers selling to tourists on the high street are doing well, retailers down the supply chain are finding things difficult." While lack of access to talent is a big concern, it’s not the biggest, said Murphy. "The UK ad industry has been able to run rampant across Europe, perhaps it’s like pop music, we’re just better than people on the continent at it." Nevertheless, 60% of the industry’s revenue comes from exporting, and a lot of that to the EU. "When you’re pitching for a large international piece of business and you put forward a team of ten. Two may come from Asia and Middle Europe because part of the pitch is to say that we have people who ‘get’ you. So that does matter," said Murphy. How did adland get Brexit so wrong? Davis challenged the room for its "out of touch" belief that the country would vote Remain. "It’s an indictment of the industry that purports to know what people want… they need to get out more and be more in touch." The industry does need to reach out more, agreed Essex. "We got ahead of Brexit. My boss, Karen [Briggs, head of brexit for KPMG UK], spends all her time trying to figure out what the business needs and wants. She marshalls teams to address these needs and she doesn’t do it by picking people who all think the same things. Diversity matters." The challenge and opportunity for the industry lies in the lack of set plan on the part of the government. "No one, including Theresa May, expected to be in this position," said Oakeshott. "Not to say they’re making it up as they go along, but they are trying to unravel a relationship of over 40 years against a backdrop of a civil service that’s been dramatically cut back." By and large though, despite all this, Oakeshott is confident that Article 50 will be triggered when May says it will be. Essex is optimistic about the advertising industry’s ability to both reposition its business to succeed in a Brexit environment, and to help stimulate other businesses in the UK to do likewise. Given the Leave campaign's "misleading" claim that leaving the EU would save £350m, Davis asked the panel how a democracy regulaties political advertising. "That bus was the most profound lie and it stuck," said Murphy. "It served its purpose. It’s up to the ad industry and the politicians to get a grip." Focus groups conducted around the bus were "really interesting", said Mattinson. "People were smarter than we think. They didn’t believe that figure, they knew it was a lie." In many ways, the British public were similar to supporters of Donald Trump, said Murphy. "They know he’s lying, but they find the lies amusing and they’re angry." So why was the remain campaign's communications strategy so poor, Davis then asked. A large part of this was due to confirmation bias, said Mattinson. "They listened to themselves, they came up with the ones that worked with their own mates." Another reason could be that the campaign was the one that worked in Scotland, where it won, said Davis. "They may have thought that if they deviated from it, they would lose." Perhaps the craftiest part of remain’s communications campaign, was the proposal of a "soft" Brexit versus a "hard" Brexit, said Oakeshott. "I think it was very cunning cloaking by remainers. And Brexiters, such as myself, were worried that the cosy soft Brexit would be more tempting than the scary hard Brexit," she said.